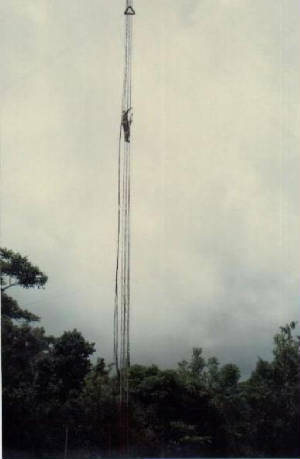 Here are some photos of me doing my thing on top of some 140ft and 200ft towers plus some others....I do enjoy the view from high places and for some reason alot of other guys are not keen on going up to 200ft. 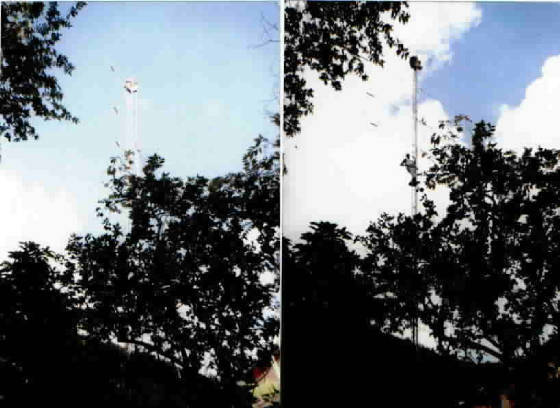 The photos above shows me and 9Z4AF-Khaz ,climbing the 200ft tower. 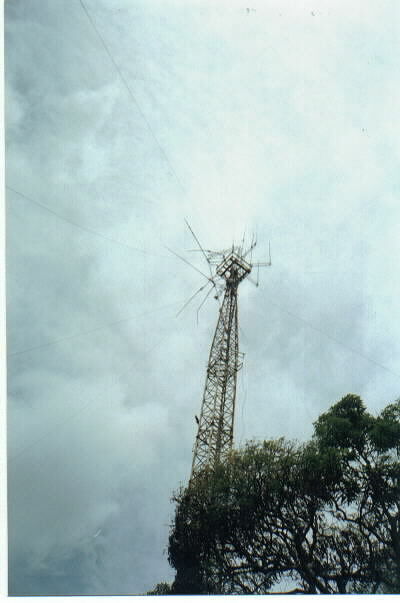 This tower is located at the central range at Brasso village ,the site is owned by 9Y4NG Arnold . 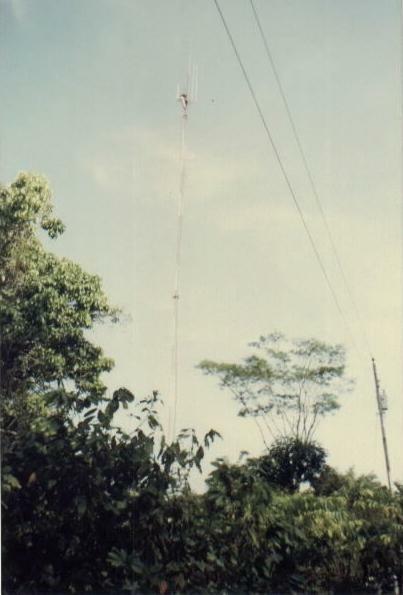 Installation of a dualband antenna for our IRLP node in Trinidad...The IRLP node owner is 9Y4AT Jeff (node 7500). 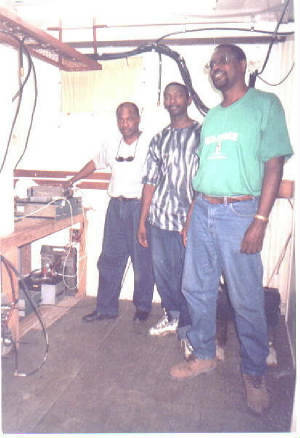 You can see from (left to right) 9Y4AT-Jeff ,9Z4BM-Leon ,9Y4TL-Keith...This was after setting up Vhf/Uhf Repeater for the IRLP. 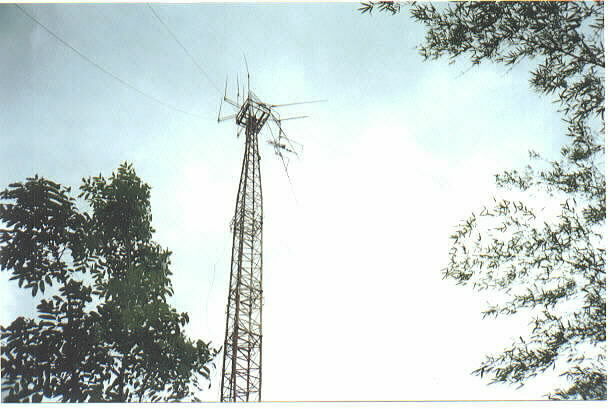 This photo shows another repeater tower owned by 9Y4NG-Arnold...as you can see a terrible mess up there at 140ft.. 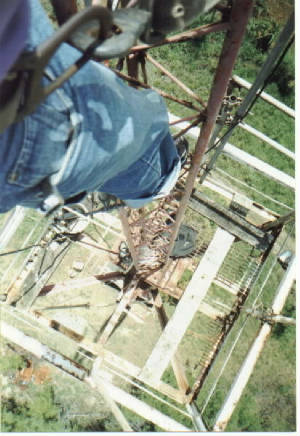 Here I am on top at 150 ft ,trying to clean up this mess.. 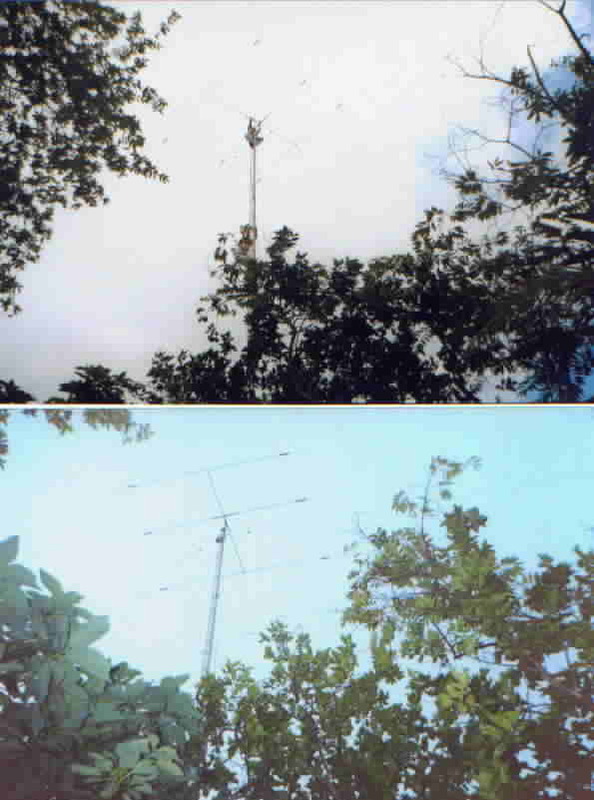 The photos below shows me up on a 75ft tower at the qth of 9Y4LF-AL...His Moseley Tribander was taken down to service, (I had to repair a burnt trap)..This is me putting back up his antenna..I had the help of 9Z4CS-Jerome with this. 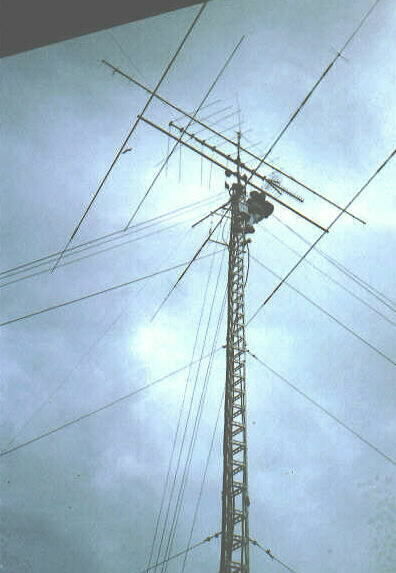 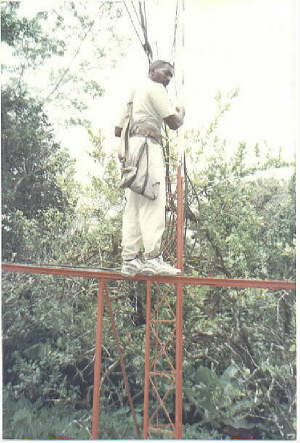 The photo below shows me on a 55ft tower belonging to 9Y4NG-Arnold..I installed a home built 6 meter halo for him..